Click the button below to apply to become a board member! I was born and raised in Oconomowoc, Wis. I had a good horse to ride, a lake to explore and lots of rabbits, squirrels and chipmunks to hunt. I started hunting chipmunks at the age of 3 with my trusty Daisy BB gun and my love of hunting was born. I soon graduated to a Crossman pellet gun and one Christmas I was given my grandmothers Winchester model 61 pump 22. All the money I ever earned as a kid doing chores or cutting grass went to purchasing ammo. After graduating from college I attended the Erv Malnirch guide school in Hamilton, Mt. and after the course was over my love of Montana and Idaho was solidified. After a brief move back to Wisconsin I transferred to Billings in June of 1978 at my request and resumed the love affair with Montana. I have been blessed with two children Jodi and Brett having made Billings our home since 1979. When my daughter was 7 or 8 years old she came home from school asking questions about Vietnam. During our conversation I told her if she wanted to make a difference to get good grades go to college and law school and I would take her to Africa on safari if she did. Dads be careful what you promise, she remembered and in 2007 we went to South Africa where she and her husband took 12 animals. 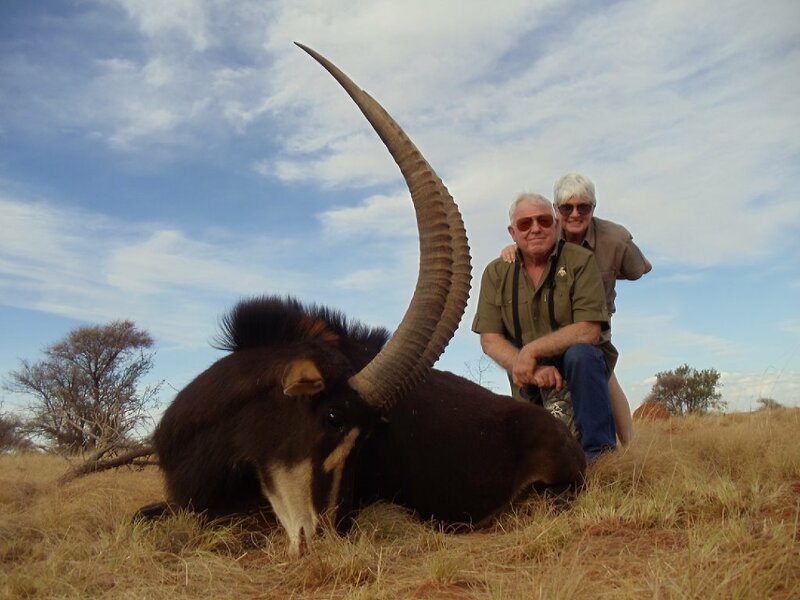 I have had the opportunity to hunt in Montana, New Mexico, Manitoba, New Zealand, Old Mexico and South Africa. My passion for hunting brought me to SCI with the notion that we need to preserve hunting for future generations. The dreams of animals we didn’t take keep my hope for the future alive. I was born and raised on a small cattle ranch in western North Dakota where I started hunting rabbits with an old single shot .22 (circa early 1900’s) of my dad’s. My dad stressed early on the importance of not wasting ammo and 1 shot kills were expected even when .22 shells were less than 50 cents a box. To this day it is still hard for me to just go plink or even practice more than a few rounds. Then as I grew up and worked on ranches in Montana I hunted mainly for meat – deer, elk and antelope. I don’t think my kids even tasted beef until they were 13-14 years old. I started hunting internationally when I retired from Exxon refinery in Billings, Montana in 1999. I celebrated with a moose hunt in Alaska. Then people I met through Safari Club recommended hunts in Russia, Namibia, Zimbabwe, Argentina and Australia where I have hunted several times. I hunted for brown bear on Kamchatka and ibex in Mongolia and Kyrgyzstan. One of my luckiest moments was when I won the Arizona Desert Big Horn Sheep Society’s 2010 national raffle. 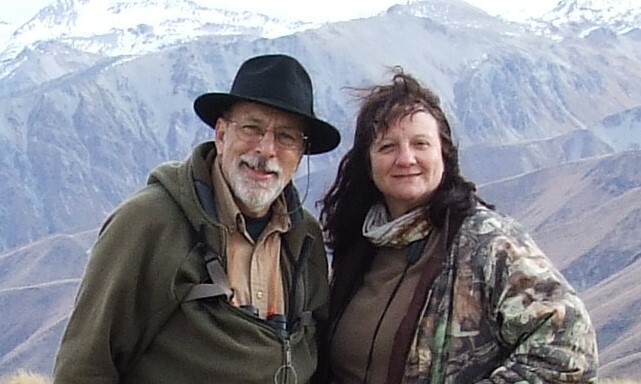 I got my choice of 3 sheep hunts and chose a Fannin hunt in the Yukon as I already had a Dall & Rocky Mountain Bighorn. While in the Yukon I filled a Yukon slam with the sheep, a great Mountain Caribou, a 60” moose and a 6 ½’ grizzly bear – in 13 days! I have enjoyed several of these hunts with my son and daughter. My son and I really enjoy hunting together and both of us got good black bears in northwestern Alberta in May 2012. I encourage people to join SCI as I did. You too can go to these places and hunt if you save your dollars and shop for your hunts. The contacts I have made through Safari Club have helped make it possible for me. I have lived my entire life in Billings Montana. except for 12 years from 1971 to 1983 during this time period I went to pre-med and medical school in Chicago. I also spent 5 years in Rochester Minnesota at Mayo Clinic doing an orthopedic residency. I moved back to Billings in 1983 and have been a practicing orthopedic surgeon since then. I grew up in a family that was very outdoors oriented. My father was Montana-Wyoming State archery champioon in 1956. He shot tournaments with a Bear Kodiak hunting bow (recurve) with cedar shafts. This was instinctive shooting. I can remember archery outings with my dad as a 4 and 5 year old- looking at deer beds and deer tracks. My father had one fall season where he harvested two four point mule deer bucks and a bull elk and only shot three arrows. (recurve instinctive ). We also rifle hunted big game and hunted upland birds and waterfowl. My two sisters hunted with us as well. I am passionate about hunting sheep. One of my favorite activities is hunting elk in the forest wtih good tracking snow. My dad and I tracked down a bull elk in the Pioneer Mountains together. I enjoy hunting new country. We all used to be involved in proctecting the resources and protecting our right to hunt. Challenges we all face include our changing environment, the loss of trees in our pine forests of Western Montana and the recent introduction of wolves. If it takes 22-25 elk to feed one wolf over the winter months, it doesn’t take many wolves to seriously impact the elk population. I was born and raised in Omaha, Nebraska. I have many wonderful memories hunting and fishing with my grandfather and father. And those were the days when a couple of teenage boys could easily get permission and spend the weekend hunting. I attended college and dental school in Omaha and then did a residency with the army where my wife and I had the opportunity to live in Tennessee and then Germany. During my assignment in Europe I was able to hunt Roe deer in the forests, Chamois in the Alps, and geese in the North Sea. I was fortunate to have those experiences while serving my country. After my tour we left the Army and came west landing in Billings in 1994. Currently a competitive sporting clays shooter, I am also the coach for the high school team. In addition to my private dental practice, I am also a continuing education clinical instructor for the Practical Clinical Courses in Provo, UT. My wife and I have two children and enjoy fly fishing and floating rivers as well. 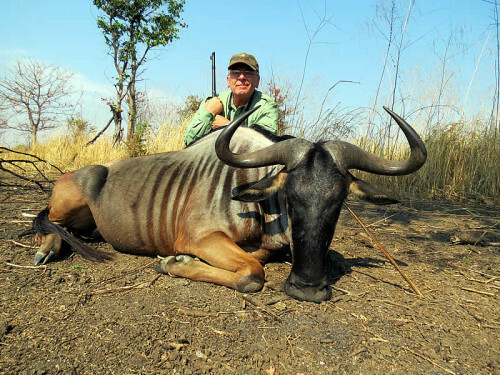 Brian Cebull was born in Billings, and has spent most of his life hunting in Montana. His inspiration to hunt came from his father Rick who took Brian hunting at an early age and who continues to encourage his hunting efforts even to this day. Brian has been blessed with amazing luck and hunting success. 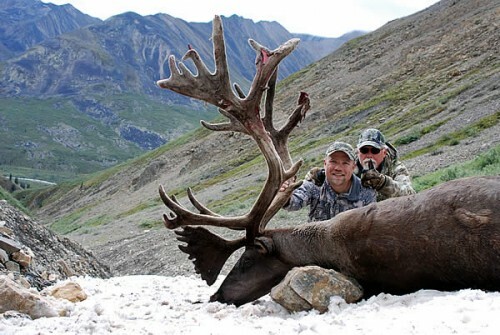 In the span of 8 years, he drew all three coveted special tags in Montana- moose, sheep, & mountain goat- and took great trophies of all 3 species. He has been to Tanzania twice now and collected 2 trophy Cape Buffalo plus other species. He has also hunted Caribou in the Northwest Territories and has chased and bagged nearly every animal that can be legally hunted in Montana. Eclipsing his hunting luck, Brian’s best fortune is being married to his wife Amy, for 18 years, and being blessed with 2 children, Clay and Dana. Although she does not hunt, Amy tolerates her husband’s hunting obsession and has accepted her role as a hunting “widow” from early September until December. Clay has been Brian’s hunting buddy since he could walk and is now old enough to hunt with his own tags in his pocket. Brian is blessed to be able to spend time in the Montana outdoors with his Dad and his son- three generations of Cebull hunters. My passion for the outdoors started when I caught my first sunfish at the age of five. The event lead to an in-depth discussion with my little Italian grandmother regarding storing my three-day-old catch in her home delivery milk box (located right outside her front door). Years later, my wife Jenifer and I found the value of our outdoor experiences becoming increasingly more important. A lifetime of living in the reality of the natural world has given us many of our fondest moments. Sharing the joys of being afield with friends and family is an important part of our lives. Today we are alarmed to see this way of life coming under attack. Activists increasingly want to alter our outdoor lifestyle and heritage to fit their personal perception of the world. As grandparents, we are concerned with preserving our way of life for future generations. Hunting and fishing are a large part of that heritage. Join us and the “more than 50,000 other hunters dedicated to protecting the right to hunt and to promote wildlife conservation worldwide.” We invite you to become actively involved in promoting our hunting heritage right here in Montana.